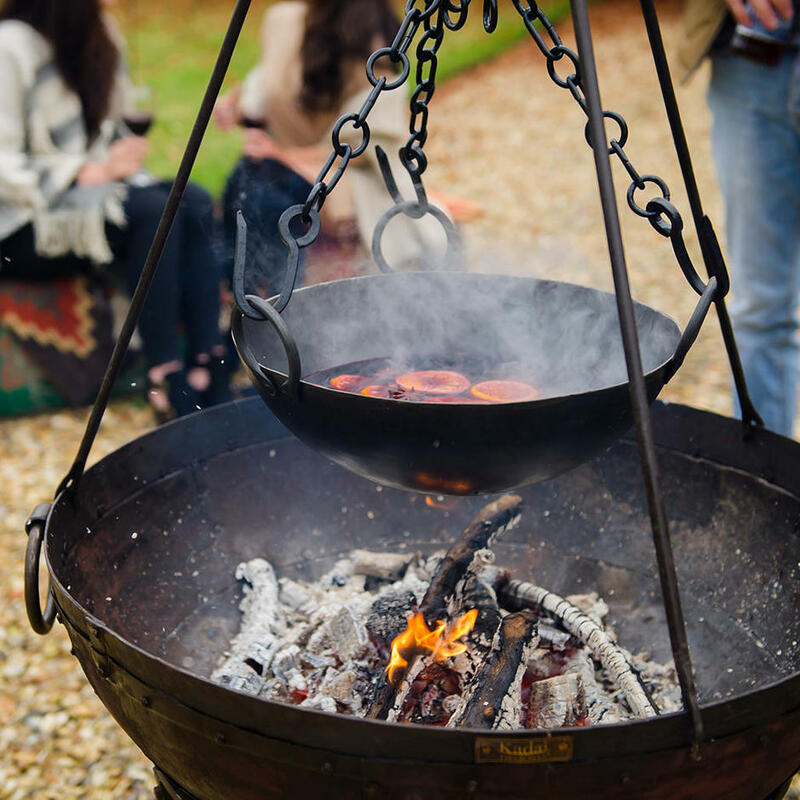 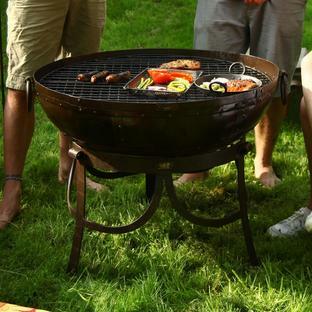 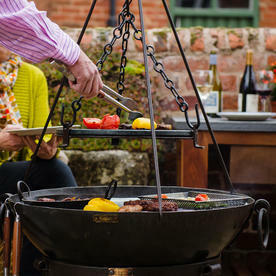 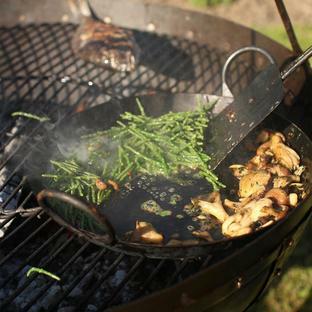 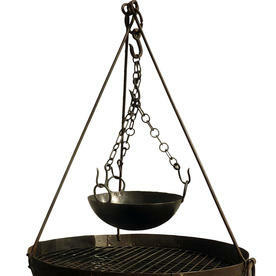 Use your Kadai firepit for 'baltis' as well as grills! 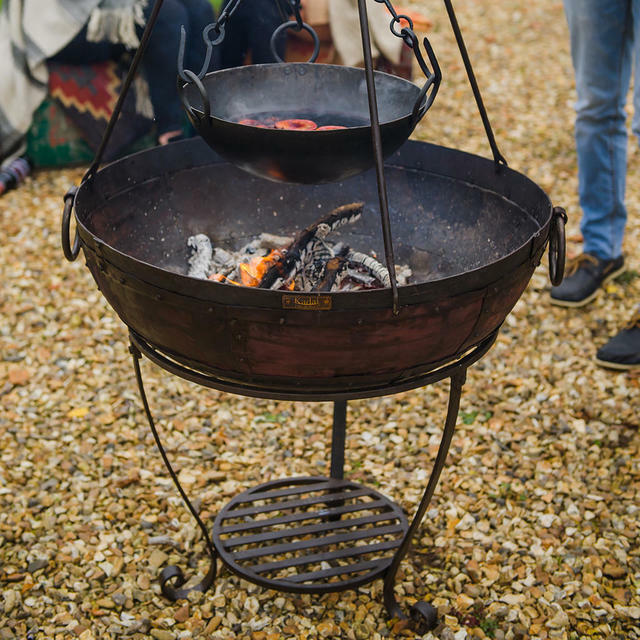 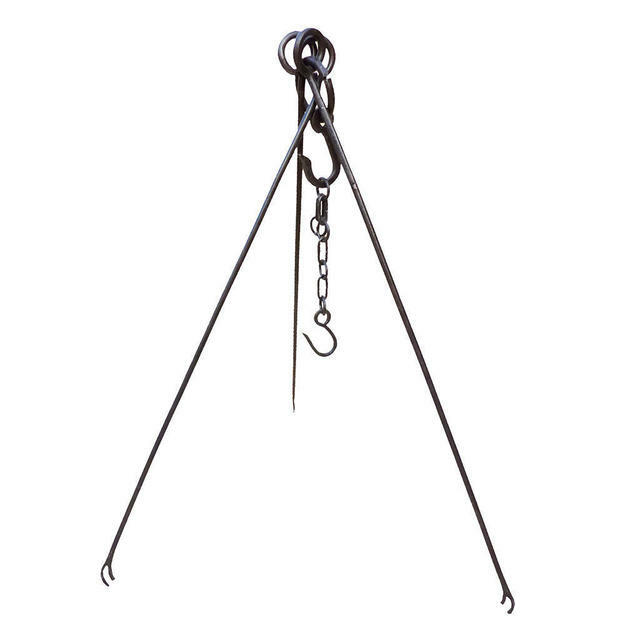 This tripod fits easily to the top of the Kadai fire bowl and is used to suspend cooking pots or kettles in the traditional way. 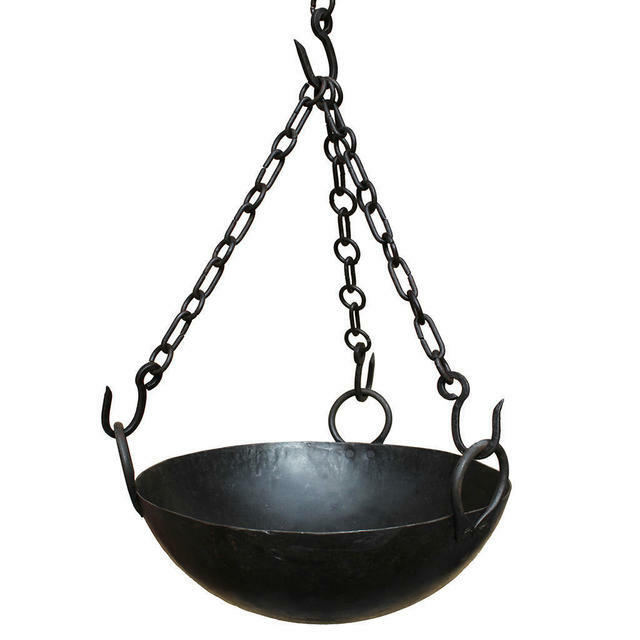 It is made of thick wrought iron with an adjustable chain, to fit Kadai bowls with 70cm to 80cm diameters. The cooking bowl is used in conjunction with the tripod. 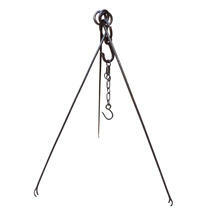 Suspend it from the tripod, which easily fits to the top of your Kadai, or sit it on a bed of hot ash. The bowl is ideal for stews, mulled wine, or chilli over an open fire, and comes with a chain and a trivet for placing on the table top. 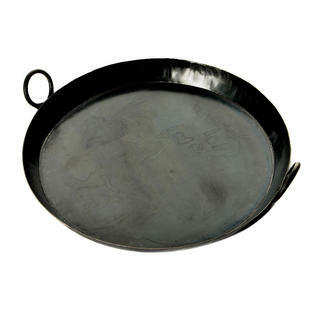 Both items are made from cast iron.